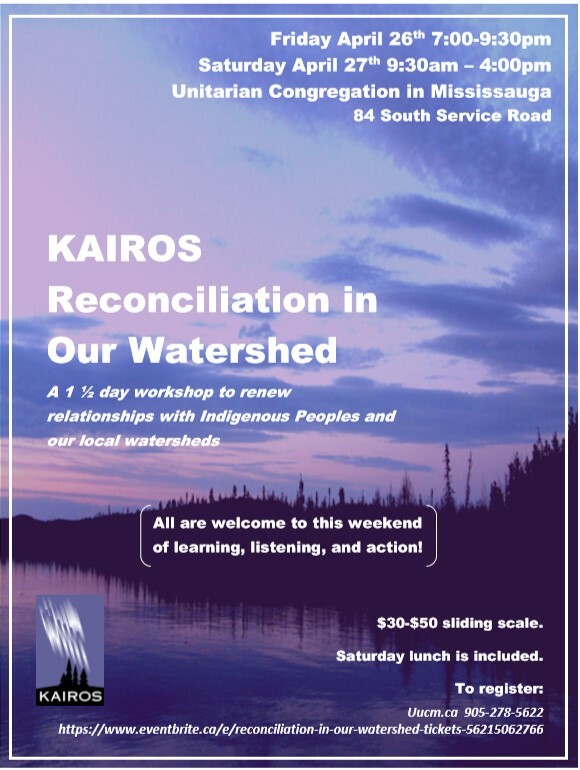 A workshop led by KAIROS’ Ecological Justice Program Coordinator, Amelia Berot-Burns, that offers learning, listening, and action opportunities on local water issues. We seek to develop a connection with the watershed in which we live, on a path towards reconciled relationships with Indigenous Peoples. A significant workshop for educators, environmentalists, activists and those interested in local issues. UCM is a welcoming congregation. The workshop cost is a sliding scale between $30 and $50.